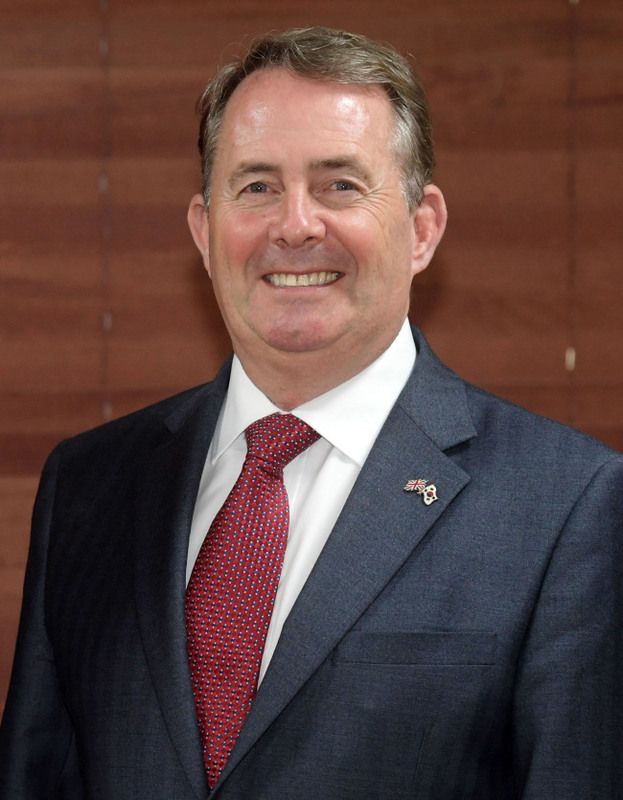 British Secretary of State for International Trade Liam Fox said that Britain and Korea could become more prosperous after Brexit by liberalizing and “unlocking” wealth in the two countries’ services industries. The Conservative Party politician is an arch-Brexiteer, and has consistently made the case that Britain’s future prosperity lies beyond being part of the European Union in engaging Asia’s booming economic powerhouses. “I have been speaking to companies that operate in the Korean market, and we think that services, including financial services, is an important area in which we should encourage liberalization. 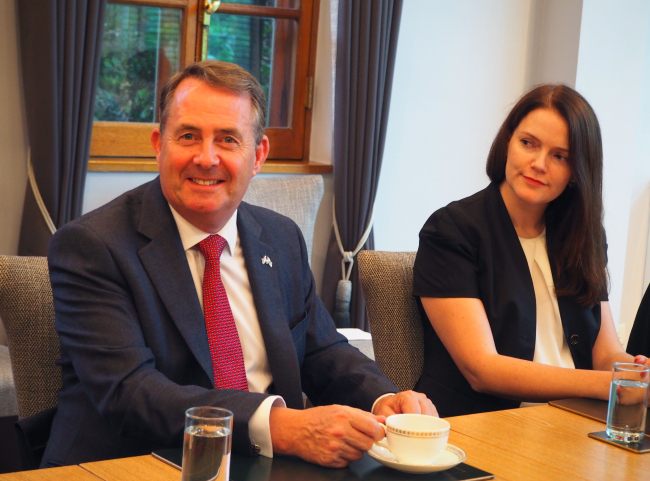 It is where a lot of the world’s wealth is currently locked in,” the United Kingdom’s top trade diplomat said in response to a question by The Korea Herald during an interview with local media Friday at the British Embassy in Seoul. Fox came to Seoul on Wednesday on his first official visit here. He aims to strengthen bilateral trade ties ahead of the UK’s scheduled departure from the EU on March 29 next year. On Friday, in the presence of British Ambassador to Korea Simon Smith, Fox and Department for International Trade Commissioner for Asia-Pacific Natalie Black signed a memorandum of understanding with Korea Trade-Investment Promotion Agency chief Kwon Pyung-oh for bolstering bilateral commercial ties, encompassing trade and investment, corporate exchanges and cooperation in the “fourth industrial revolution” sectors in line with the UK government’s Industrial Strategy. The politician countered what he called certain “myths” regarding the consequences of Brexit. “The first is that the UK will become more insular and inward-looking. The reality is quite the opposite. The reason why I am here is to discuss how the UK can have wider cooperation and be a more outward-looking country in the global economy and security,” he said. The last two years since the historic vote have seen record levels of inward investments in British history, he highlighted, adding that technology venture capital investments into London last year were more than those going into Germany, France, Ireland and Spain combined. “Our immediate priority is maintaining continuity in our trade relationship with Korea,” he stressed, noting that Britain -- the second-biggest exporter of services in the world -- has ample expertise in financial and other services and could help Korea liberalize its regulations-ridden services sector. Fox, who doubles as president of the Board of Trade, is responsible for all trade policies and sectors of the UK government. A physician by training, he was elected member of parliament for North Somerset in the 1992 general election, and was secretary of state for defense from 2010 to 2011. 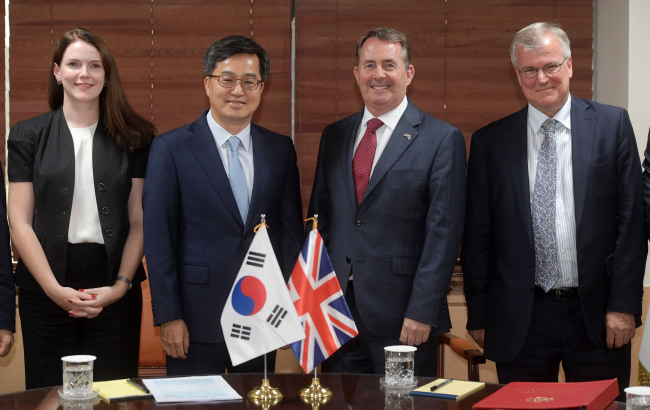 During his four-day visit, Fox met with his counterpart, Korean Trade Minister Kim Hyun-chong, and outlined the UK’s commitment to maintaining a strong trade relationship and continuity for British and Korean firms after Brexit. The politician also met with Deputy Prime Minister and Finance Minister Kim Dong-yeon, as well as corporate executives of Hanwha, LG and Samsung. According to the British Embassy, total trade between the two economies topped $17.5 billion last year, up more than 15 percent from 2016. The figure is larger than UK exports to India. Korea is one of more than 70 countries currently in discussions with the UK Department for International Trade to achieve business continuity after Brexit.